Simchat Torah is coming up next Monday--it will end the holiday of Sukkot and the month long high holiday season. It's a joyous day with lots of singing and dancing and children especially love to join in the celebration. 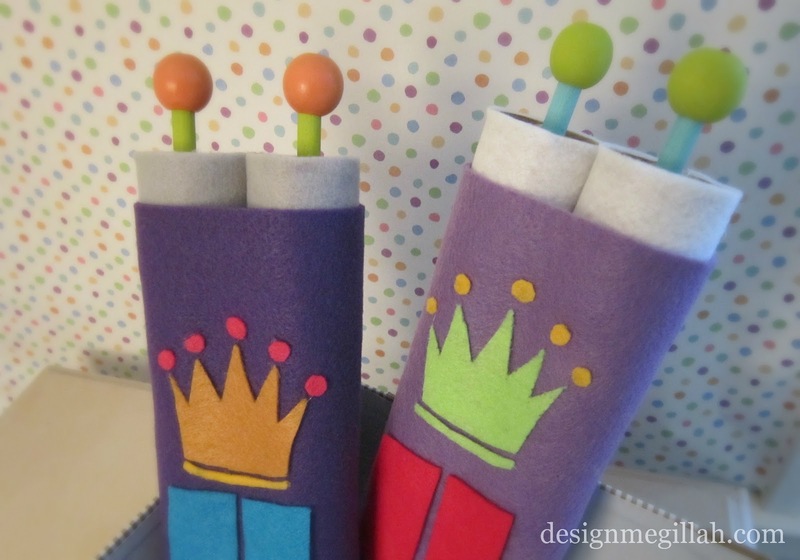 Here is how to make their very own toy Torah they can carry during the festive day. I started with very simple materials. 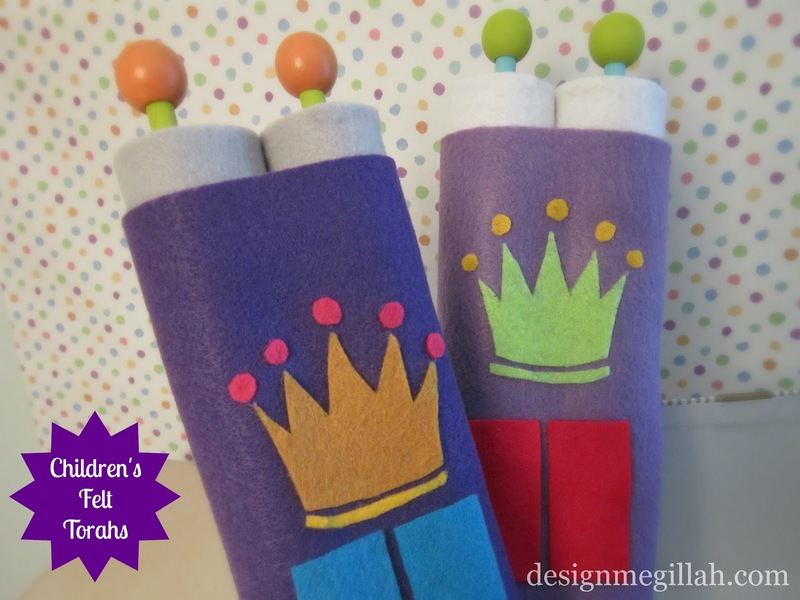 The cardboard tube inserts from paper towels make up the Torah scrolls. 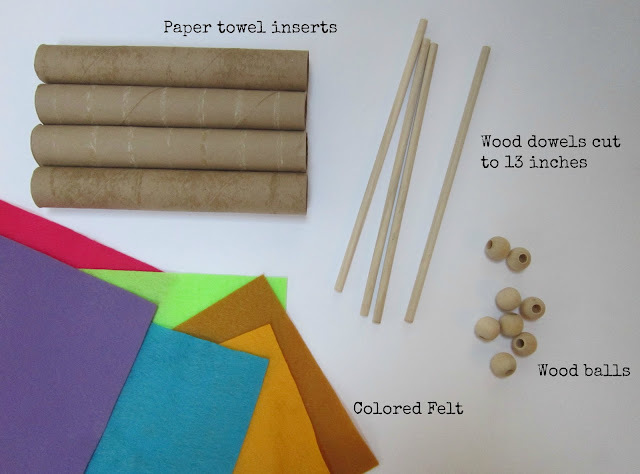 The rest are things I found at the craft store--colored felt, wood dowels and wood balls. I found the crown clip art online. It can be printed and blown up to any size you wish. I cut all my shapes out of felt using very sharp scissors and glued the "end caps" with a glue gun. I painted the wood balls and dowels with acrylic paint. Then I stuffed plastic wrap inside the cardboard tubes to keep the dowels in place. Labels: DIY felt Torahs for children, Simchat Torah craft ideas. Thank you Sarah...same to you! Brilliant Rita! Thanks so much for sharing on Craft schooling Sunday! I never seem to get around to the crafting for Simchat torah, since I can't do it chol hamoed, but maybe once the kids are all grown I'll be able to do it for the grandchildren! I know. Can you believe I bought the supplies last year but never had the chance to make these so I saved the supplies for this year! Just beautiful! They look amazing, and even more so for the fact that not a single blot of glue or misplaced smear of paint is in evidence... I don't know how you do it :-). Thanks too for the explanations of the meaning behind these and other crafts; we're not Jewish but I want to bring my young son up understanding the festivals and important events in other faiths, and your posts give me a great place to start. Wow you made my day! Thanks for writing! This is a great tutorial! I'm so grateful for it. I am not Jewish but I do want to teach some Sunday School children the traditional meaning of Shavu'ot. If I use paper instead of felt so we can write on it - do you think the dowels will slide out of the plastic wrap if it's played with? I think heavy paper would work. Just stuff the plastic wrap tightly in the tubes.